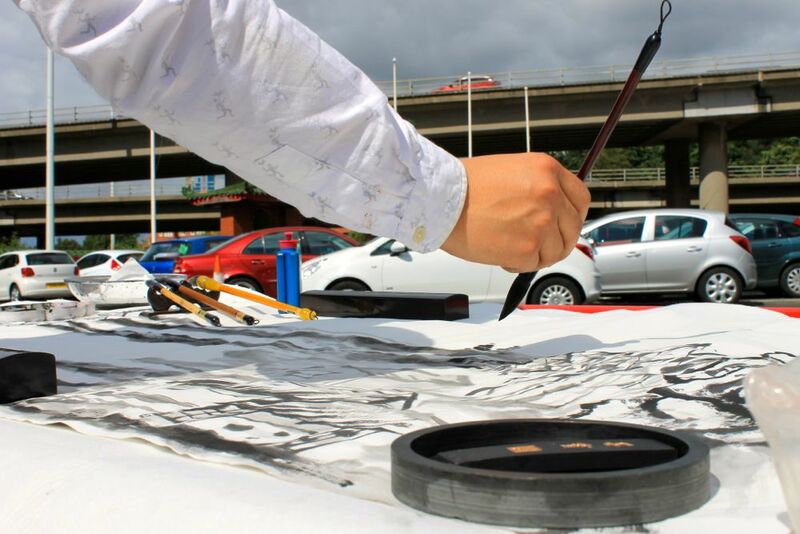 ‘The East West Road’ drawing event. 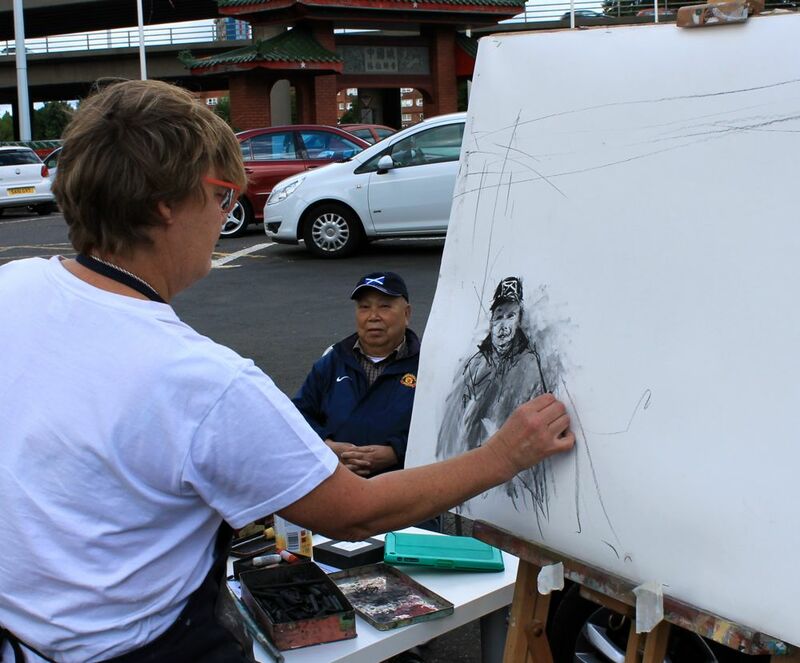 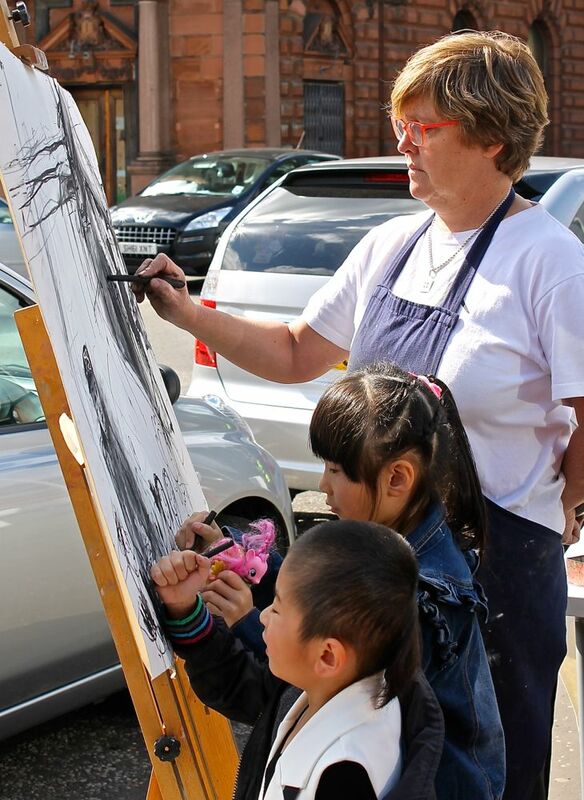 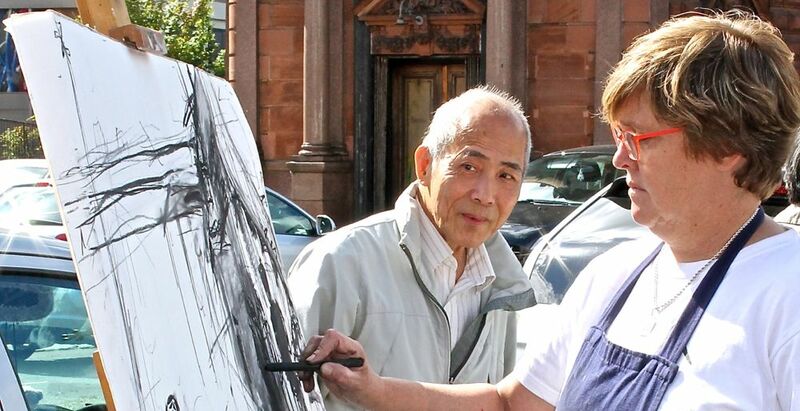 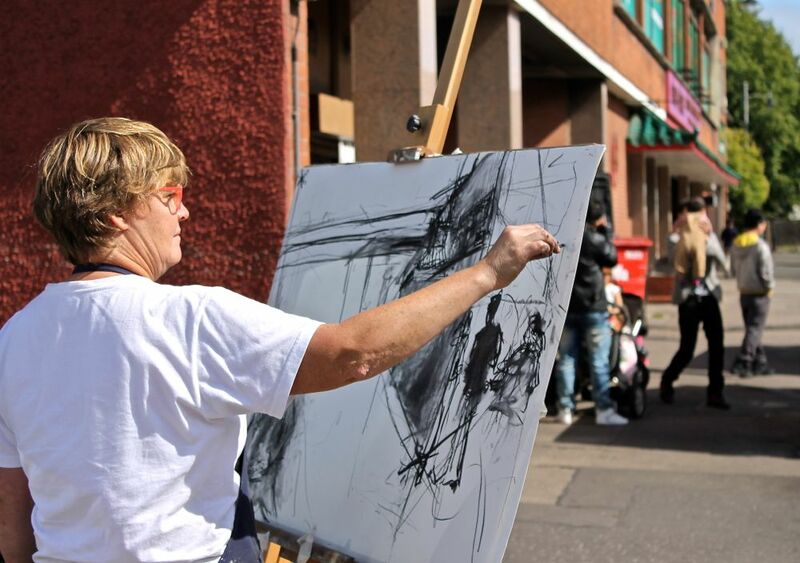 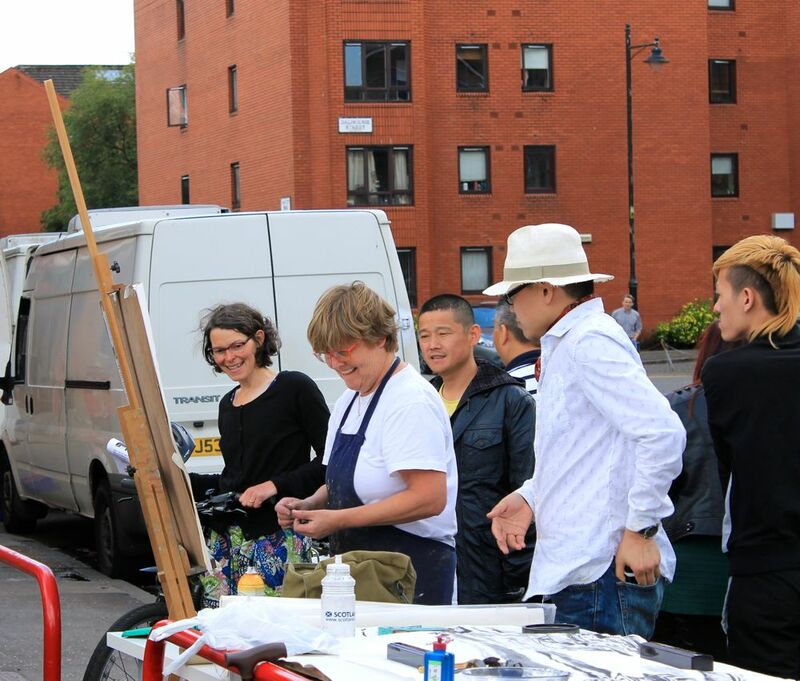 Hot on the heels of representing the UK at 2nd He Shun International Art Festival, China, Scottish artist Kate Downie set up her drawing board in Glasgow’s Chinatown with Chinese artist Chi Zhang. 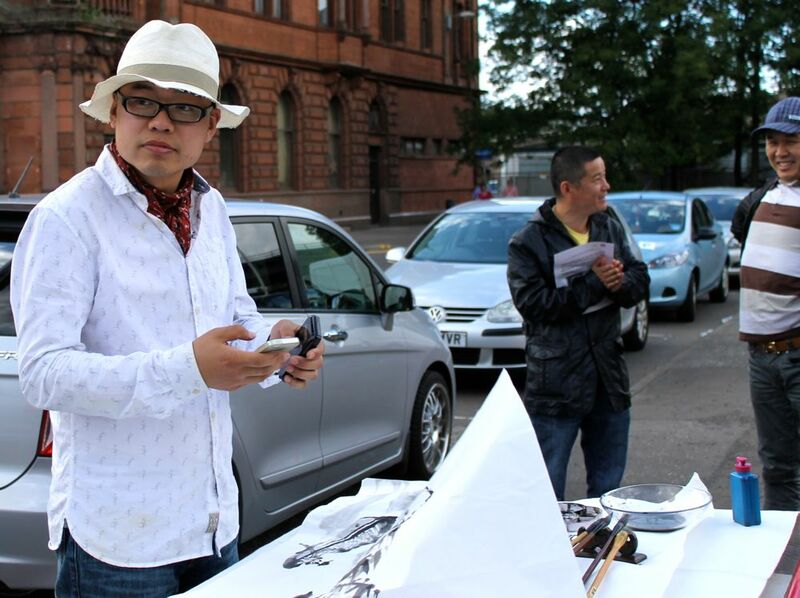 While capturing the atmosphere of this unique corner of the city, a place where the East meets Glasgow, Kate and Chi compared their art styles and how different European drawing is to traditional Chinese ink painting. 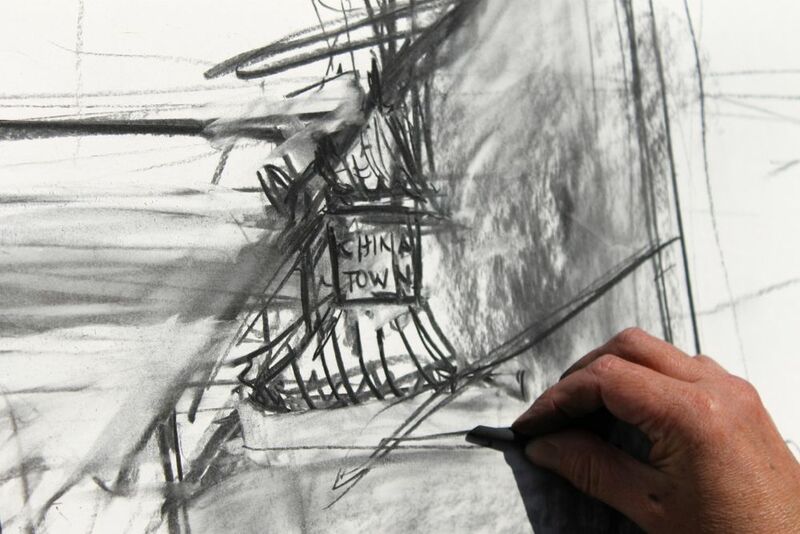 Using the studies created in Chinatown, Kate will create ‘The East West Road’, a large-scale depiction of Chinatown drawn directly on to the walls of the RGI Kelly Gallery.